Every industry is modernizing at a rapid pace, and the exhibition sector is no different. Trade show organizers are becoming increasingly edgy as they explore new ways to use event technologies as a means of making life easier for exhibitors and increasing the value proposition for attendees. What used to be limited to just a few signs and a stale-looking paper map has now become a revolutionary way to point attendees where you want them to go, and also to spruce up the floor. "RFID chips spawn innovation through data capturing." Radio Frequency Identification tags, better known as RFID chips, are changing the game, according to Event Brite. Organizers can insert these into wrist bands that can be given out for free to attendees. These will track peoples' movements and relay back data. The findings can then be reviewed before the next event to see where the layout confused attendees, which spots of the venue are most popular and how long it takes a person to get from point A to point B, among other things. While RFID tags are useful for improving wayfinding in the event after the fact, dynamic signage, holograms and event apps are best used during the event as a means of helping people find their way. For example, dynamic signage can be programmed to alert attendees about certain events like guest speakers or networking sessions, while holograms can be deployed at various areas in the venue to provide a bird's eye view of the location as a way to help people find the booth they're looking for. Although part of an organizer's job during the event is to ensure everything goes off without a hitch, it's also an excellent time to talk to attendees and exhibitors about visiting the next show. Pictures speak a thousand words, which is why virtual reality is turning out some of the best pitches ever seen. One of the difficulties in enticing exhibitors or high-spend attendees to commit to another event is that the explanation can sound sort of like an illusion or a mirage. Unless you've perfected the elevator pitch, you may find yourself struggling for the right words to explain just how important, useful and fun the event is. Virtual reality provides a real glimpse into what your next show has to offer, which takes away the factor of the unknown. And it's easy to use—just upload the images and hand the VR gear over. Event Manager Blog reported that "difficulty of use" is a key factor in how technology will be received. Live streaming allows attendees to personalize their experience. Livestreaming has become incredibly popular in the latter half of this decade, especially as smartphones become more powerful. No longer do people need high-tech camera equipment to get good video of an event—they can stream right from their phone. Apps like Periscope and Snapchat are allowing trade show organizers to shift the responsibility of marketing from themselves to their attendees. 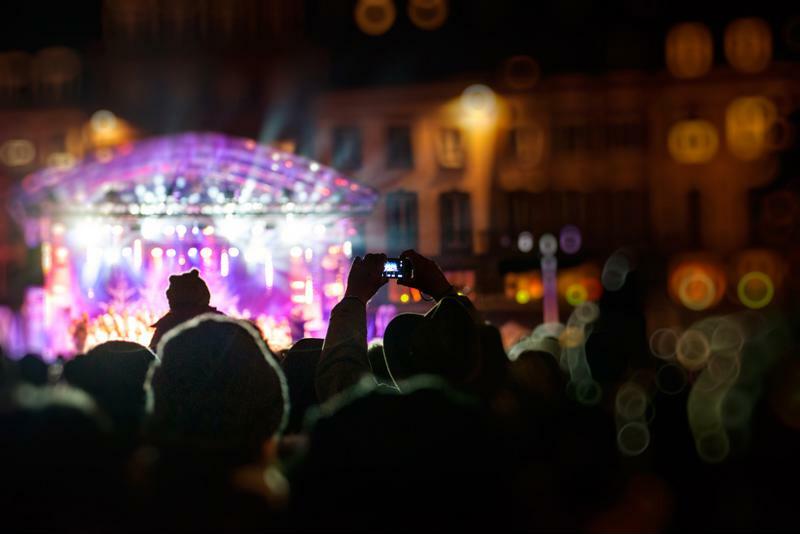 Inc. Magazine reported that this type of action allows people to personalize the event—they're no longer lost in the crowd, but rather in the spotlight for their audience. Of course, event organizers can't just hope and pray that a popular streamer picks their event to broadcast—there needs to be enticement. Consider offering those who stream, whether they be exhibitors or attendees, a sizable reward. This could be free or discounted entry into your next event or first pick of a sponsorship opportunity for companies showing off their products. At the very core of incorporating event technology is the idea that it facilitates better attendee and exhibitor engagement. An event app can easily promote interactions between the two parties if used correctly. Make your event mobile app intuitive and easy to use. When someone walks into the venue, they should be able to open it and understand which sections contain the booths, companies and products they're looking for. This allows them to see more exhibitors in a shorter time frame, which is what both parties want.